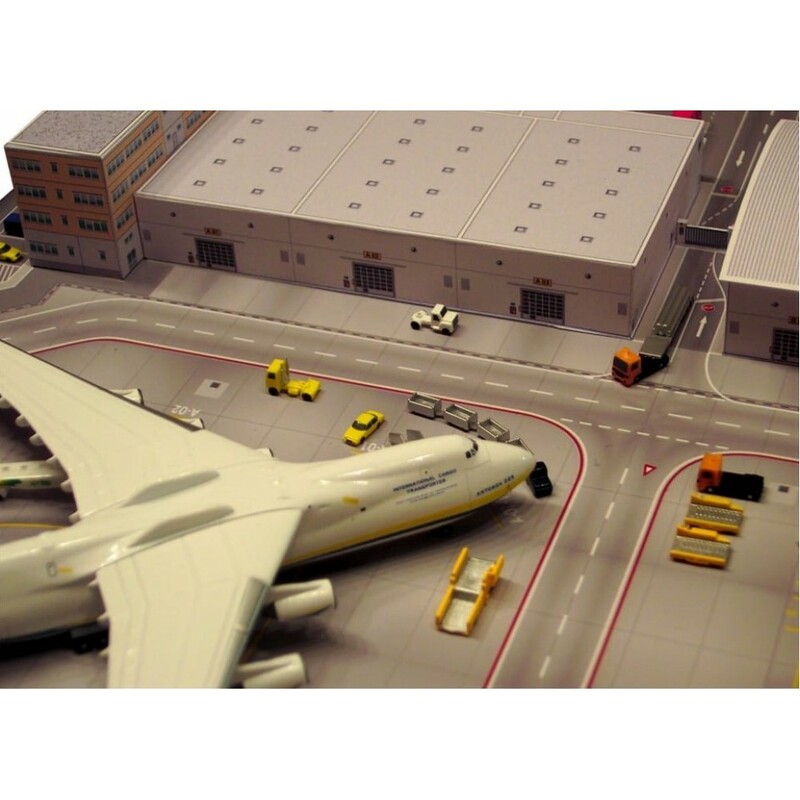 Put the spotlight on your favourite freighter models with this new cardboard model kit. 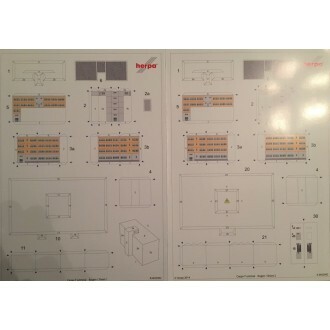 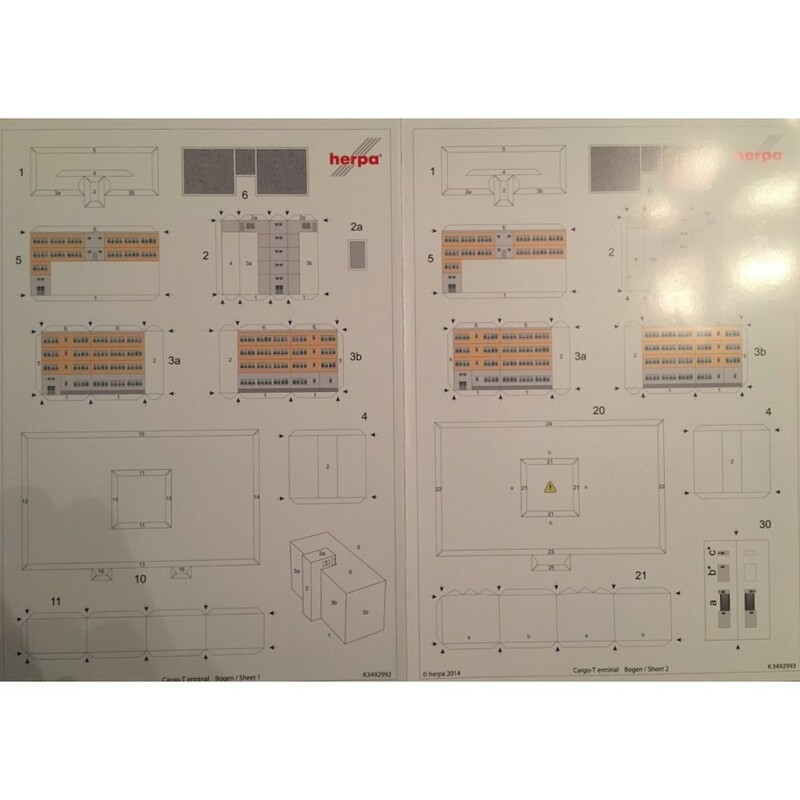 Comprising of a printed plastic base and four cardboard sheets, this set includes all you need to build an office as well as two freight buildings. 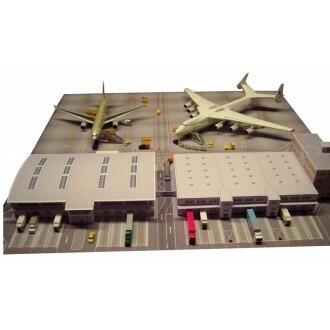 Up to four smaller or two larger freight aircraft can be parked on the included, highly detailed, tarmac. A special diagonal parking position for the AN-225 has also been incorporated. 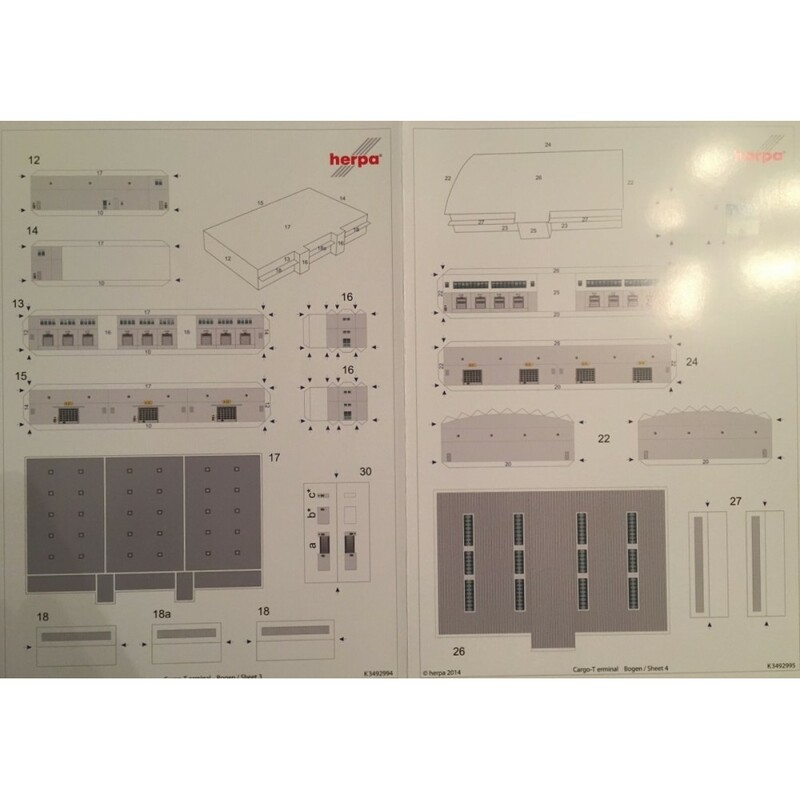 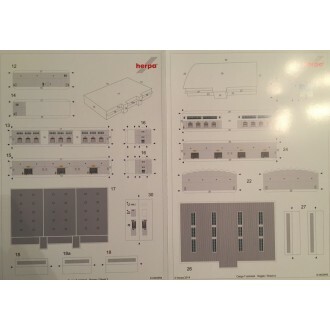 This model kit requires construction and is suitable for 15 years and over. Model aircraft and vehicles are not included. 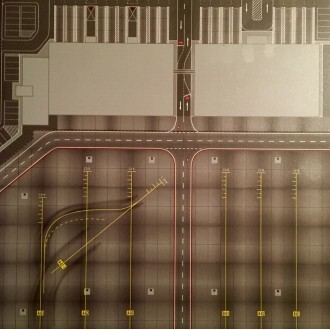 Dimensions of the ground plate: 32 x 32 cm / 12.6 by 12.6 in.